Bring the beauty of gardening to your room, home office or restaurant. Perfect for tabletop display. This 24 inch artificial triple ball-shaped boxwood topiary requires no trimming and watering all year long! boxwood Ball sizes approx. 6"D, 5 inch d and 4 inch d pot size approx. 4 inch H x 4.5 inch W. Dimensions based on image shown. Primping required to match on the image shown. 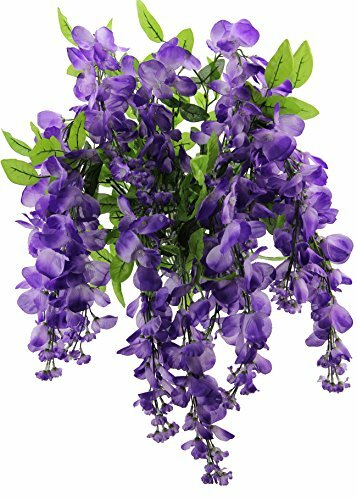 15 branches of high quality wisteria long hanging bush flowers. This hanging bush flowers are perfectly for tall decoration on the wall, wedding centerpiece arrangements or tall flower plant. Dimensions based on image shown. Primping required to match on the image. 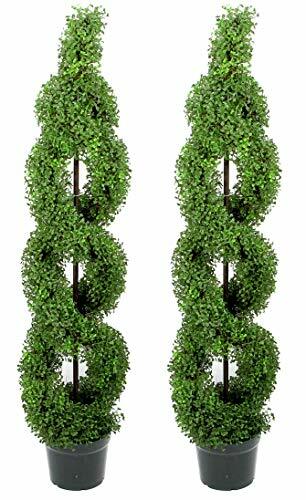 Set of 2 x 5' Artificial Boxwood Leave Double Spiral Topiary Plant Tree in Plastic Pot. Bring the beautiful of gardening to home and office. Or simply place it outdoor to enhance feel and look of your home an office entrance. This 5' feet artificial boxwood leave double spiral topiary requires no trimming for all year long pot size is 7h" x 9"w. At bottom plant above the pot. 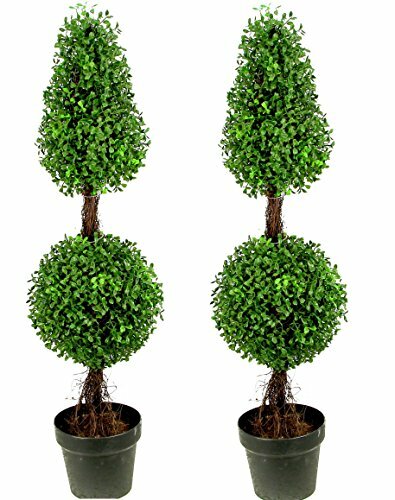 Set of 2 x 3’ Artificial Boxwood Leave Double Ball Shaped Topiary Plant Tree in Plastic Pot. 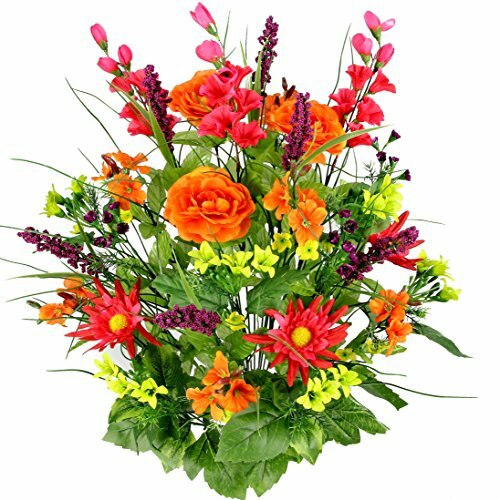 Bring the beauty of gardening to your room or office space it is small enough to place in any corner of the room. 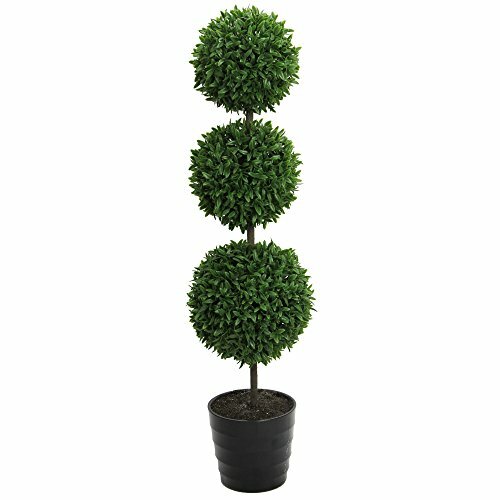 This 3 feet artificial double ball-shaped boxwood topiary requires no trimming and watering all year long please note: "actual leaves color might appear darker than the images due to lighting". 3' Aritificial Boxwood Leave Spiral Topiary Plant Tree in Plastic Pot. Bring the beauty of gardening to your room or office space or simply place it outdoor to enhance feel and look of your home and office entrance. This 3' feet artificial boxwood leave spiral topiary requires no trimming and watering all year long pot size is 6"H x 6.5"W. Note: Actual leaves color might appear darker than the images due to lighting. 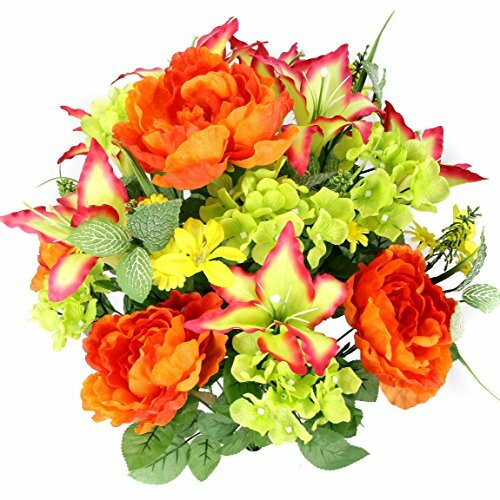 24 branches of high quality combination tiger lily, peony and hydrangea with green foliage mixed bush. The beautiful hued petals adorn each lush bloom creates a cozy ambiance that's sure to bring colors and style to your home all throughout the year. A backdrop of antique greens complements perfectly to this lavishing bunch. Dimensions based on image shown. Primping required to match on the image shown. 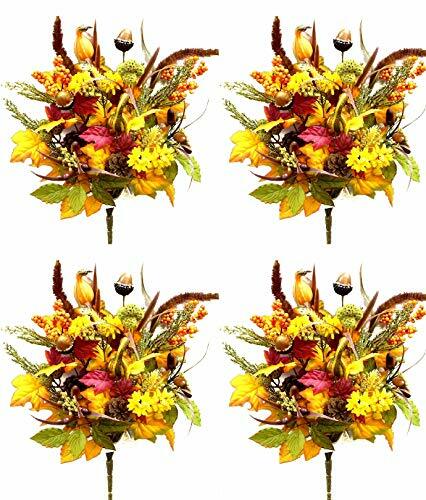 12 stems artificial pumpkins, pine cone, acones, leaves, filler mixed flower fall bush. It has a beautiful coordination of Autumn and fall warm colors great to display at your home. It looks great on it own, or with other floral arrangement. Dimensions based on image shown. Primping required to match on the image shown. 40 branches of high quality combination rose, lily, zinnia, queen Anne's lace mixed flowers bush. The beautiful hued petals adorn each lush bloom creates a cozy ambiance that's sure to bring colors and style to your home all throughout the year. A backdrop of greens complements perfectly to this lavishing bunch. Dimensions based on image shown. Primping required to match on the image shown. 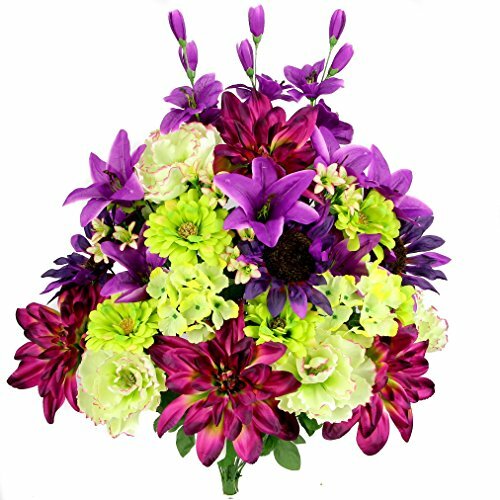 36 branches of high quality combination new dahlia, sunflower, peony, hydrangeas mixed flowers bush. The beautiful hued petals adorn each lush bloom creates a cozy ambiance that's sure to bring colors and style to your home all throughout the year. A backdrop of greens complements perfectly to this lavishing bunch. Dimensions based on image shown. Primping required to match on the image shown. 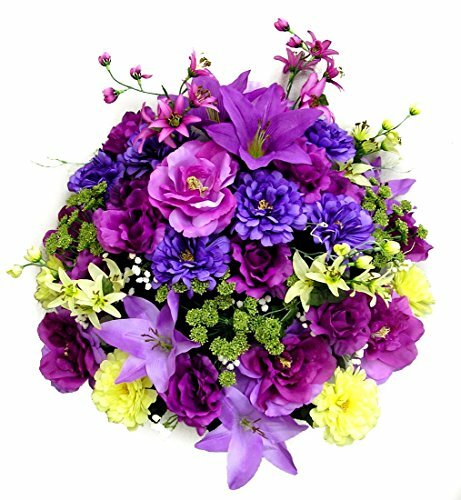 30 Branches of high quality combination artificial dahlia, morning glory and ranunculus and blossom fillers mixed bush. The beautiful hued petals adorn each lush bloom creates a cozy ambiance that's sure to bring colors and style to your home all throughout the year. A backdrop of greens complements perfectly to this lavishing bunch. Dimensions based on image shown. Primping required to match on the image shown.